STUNNING CUSTOM BUILT COLONIAL with MAGNIFICENT DETAILS. Fabulous floor plan where natural light streams in thru upgraded mullion windows. Nestled within a beautiful neighborhood of distinctive homes. - Follow the bluestone path onto the front porch, through the solid mahogany doors & into a welcoming two story foyer with sweeping staircase. Masterfully crafted with over 5000 sq ft of living space over three floors. Gleaming hardwood floors throughout & newly painted interior. 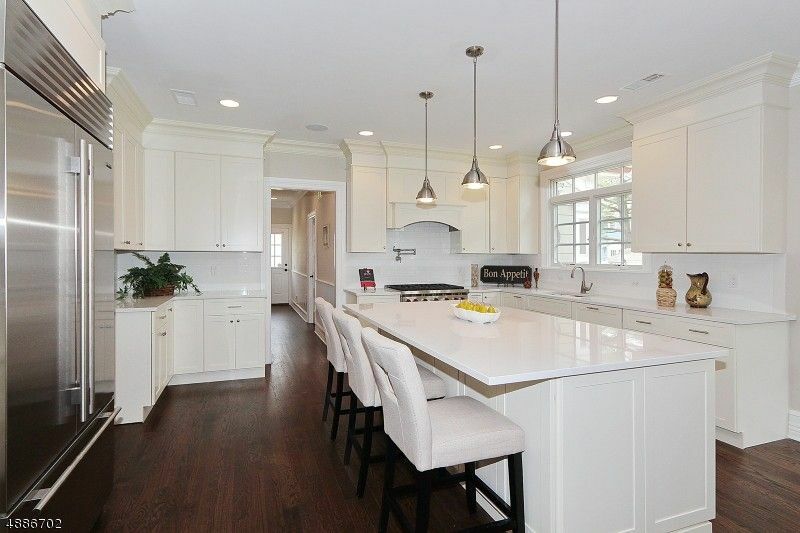 New White Kitchen, Quartz Counters & Professional Grade Appliances. 1st fl BR/office w/ en-suite, 3 FP's, multi-sourced surround system w/ controls/speakers, side entry w/ mudrm, 2nd fl laundry, 3rd fl suite, walkout bsmt & whole house generator highlight just some of the homes features. Level, fenced in yd with young plantings & shed.